On Sept. 24, MariSol Federal Credit Union, based in Phoenix, Ariz. was the second credit union to receive the Juntos Avanzamos (Together We Advance) designation in a national rollout. The Juntos Avanzamos Program originated in November of 2005 at the Texas Credit Union League (which recently merged with other regional leagues to form the Cornerstone Credit Union League) as an immigrant outreach program designed to help credit unions attract and serve the growing Hispanic market in Texas. MariSol Federal Credit Union’s designation is one of only two outside of the Cornerstone Credit Union League (Cornerstone League). The Cornerstone League, the National Federation of Community Development Credit Unions (Federation) and Coopera, a full-service Hispanic market solutions company with specific focus on credit unions nationwide, have been working together to foster a collaborative effort to bring this program to a national credit union audience. The program will initially focus on the southwest, where it will be promoted and supported by the California/Nevada Credit Union Leagues, the Credit Union Association of New Mexico and the Mountain West Credit Union Association. In order to earn the prestigious Juntos Avanzamos designation, credit unions must complete an extensive application to determine the credit union’s “capacity to serve”, requiring information about what products and services the credit union offers to specifically address the needs of the Hispanic market, as well as what strategies they are utilizing to serve this important demographic group. MariSol Federal Credit Union has worked with Local First Arizona's Hispanic Business initiative Fuerza Local for their Accelerator Program. The goal of the Accelerator Program is to educate business owners so they can elevate themselves and their communities. This six month class is designed to teach Spanish speaking business owners the critical fundamentals for owning and operating a successful business. The 6th Accletor class is beginning soon, with over 60 graduates. Every program, MariSol Credit Union opens a new line of credit per business for each business owner enrolled. “MariSol is humbled to be a part of this effort by the Cornerstone League and now taken national jointly with the Federation. As a low income designated, CDFI certified, and community development credit union, this Juntos Avanzamos designation highlights our commitment to financially underserved populations. Our mission is to empower our members through financial inclusion. Everyone is entitled to fair services for a fair price. Juntos Avanzamos means Together We Advance, and for MariSol, we are delighted to take the path forward, hand in hand, with all our members,” explained Robin Romano, President/CEO of MariSol Federal Credit Union. 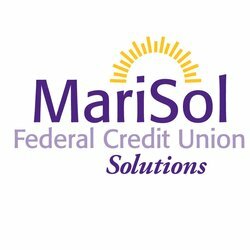 MariSol Federal Credit Union is a $34M in assets credit union based in Phoenix, Arizona, which serves a growing membership of nearly 7,000 members. Visit www.marisolcu.org for more information. Thank you for everything you do in the community, MariSol Federal Credit Union!